Beginning of 1996 the company SOMATEC Sondermaschinen GmbH in Hameln was founded as a design office by the mechanical engineer Günther Kuhlmann. 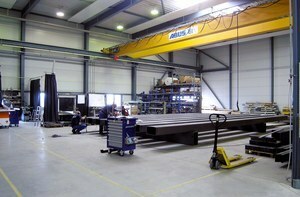 The design office turned soon into a complete machine manufacturing company forced by the increasing demand. 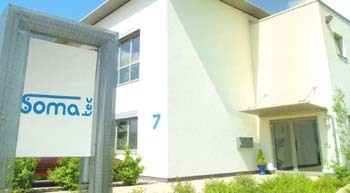 In 2001 SOMATEC moved into its new company facilities with assembly hall and administration building. So in March 2001 the assembly of the first machines starts there. Beginning of 2007 another assembly hall was completed, so that the assembly area was more than doubled. 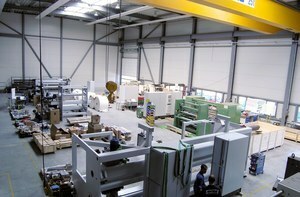 Since foundation SOMATEC has designed, assembled and commissioned a large number of machines and lines, which are operated all over the world. Many well-known companies are SOMATEC's customers. 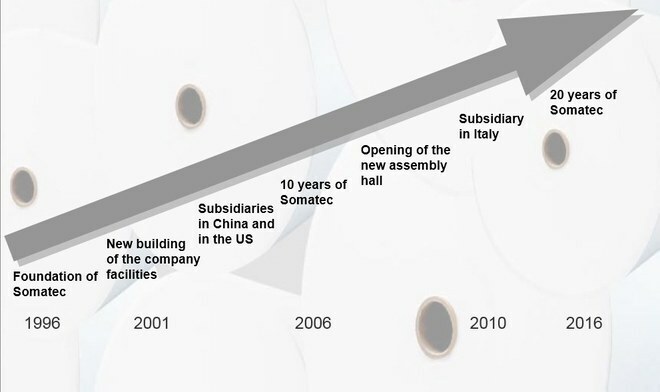 In Europe SOMATEC is represented locally in Italy and overseas in China and in the USA and in Canada. 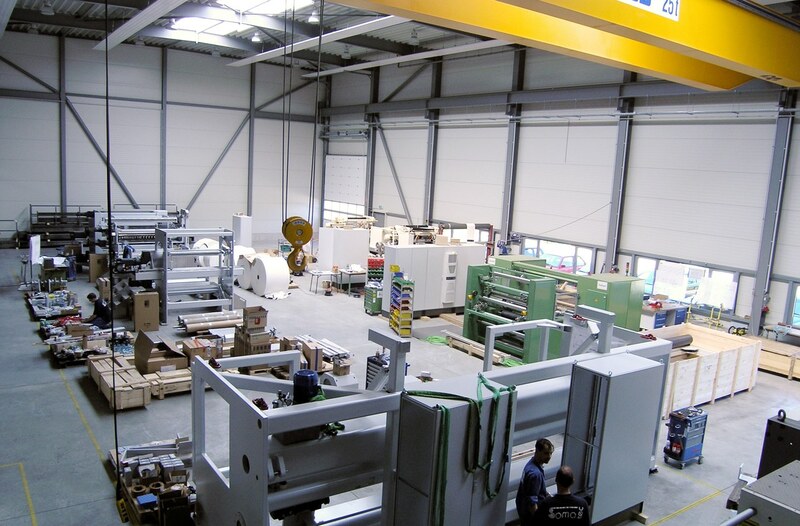 From the very beginning SOMATEC stands for a longtime experienced team of specialists, which is creating and realizing individual and innovative solutions for each winding related task. 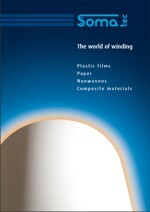 The focus is thereby on all kind of in-line applications within production and finishing processes, where flat webs have to be unwound or rewound continuously - regardless if this is paper, plastic film aluminium foil or nonwoven. Thereby SOMATEC's service includes consulting and planning, design and manufacturing and also start-up, operator training and after-sales service.